Florida marinas are a great place for Carri Craft houseboats. Are you looking for houseboat friendly marinas that allows for liveaboards or living on house boats? 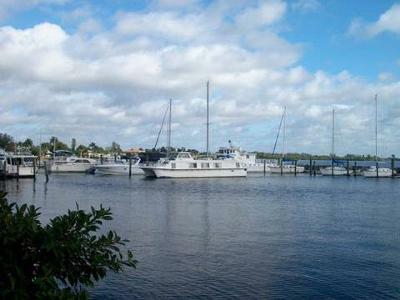 I wanted to share some information about my beautiful marina on the west coast of Florida. They have about twenty open slips for boats up to 55 feet, and you can see my Carri Craft houseboat in the picture. There are several houseboats and several live aboards on various other types of boats. There is even an old converted landing craft that is really a nice creation for living on. The only requirements are the standard liability and a security deposit for long term live aboards. 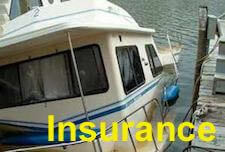 They do allow working on your boat as long as you keep a neat area and do not spray paint. I had to replace the fridge and had no problems. The name of the marina is Prosperity Pointe in N. Fort Myers and it is located on the Caloosahatchee River at the RT 41 Business West bound bridge. I hope this helps, and I wonder if there are any houseboaters out there in houseboat friendly marinas? 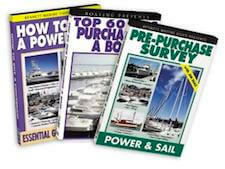 Well Russell, I want to say thank you for all our readers, since it's not easy to acquire all this information about houseboat friendly marinas. 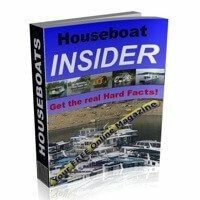 I am sure that there are other readers and boaters out there that are in similar marinas, and that may be wanting to share some of their information for good of the houseboating community. Lastly, hopefully some of our readers will share and post comments about their own houseboat marina information and experiences. Feel free to use the "Click here to post comments." link found near the bottom of this page. 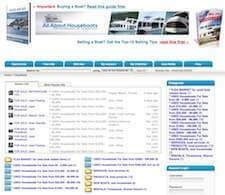 Comments for Any friendly Houseboat Marinas for Live Aboards, and Living on House Boats? Any houseboat communities in Gulfport, Florida or Boca Ciega in Florida? Were getting ready to retire next year and thought it would be awesome to live on a boat full time but to my disappointment there is nothing in the West accept Ca. which is not for us. I have found in the West AZ. 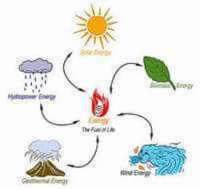 for example is that you can only live on the houseboat for two weeks at a time per month so you can pull out and live on the lake somewhere or leave the boat and go elsewhere which is not for us. We want to stay in the warmer year around areas of the U.S. in the west mid west areas but to date I have found no marinas that allow full time houseboat living. Good thing I haven't bought a boat yet! Any ideas would be helpful. looking to do a live-aboard downtown. Any suggestions where to find used houseboats in our area? We'd appreciate hearing from you since we're in the same area. 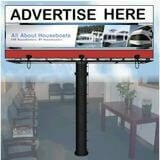 Are there any houseboat communities in Southeast Florida. We're looking for friendly places in south Alabama to live on a houseboat. Where in Georgia can you live on a houseboat? Where in Georgia can you live on a houseboat full time? They say you can not live full time if the lake is owned by the Army Corps.